Read the letters to the editor from community members in support of Sara's campaign, plus news and highlights from Sara's work in the community! Sara Coffey defeated Patrick Gilligan, 1,256 to 665 votes, to represent the towns of Guilford and Vernon in the Vermont House of Representatives, Windham-1 District. Guilford voted for Coffey by a margin of 807 to 230 and Vernon gave her 449 votes to Gilligan's 435. In the only contested House race, the Windham-1 seat vacated by Republican Mike Hebert of Vernon was captured by political newcomer Sara Coffey of Guilford. The Democrat defeated Republican newcomer Patrick Gilligan of Vernon, 1,256–665, leaving the GOP without a state representative from Windham County for the first time in nearly three decades. One of the issues that has greatly concerned people in both Guilford and Vernon is Act 46 involving school mergers. Recently some erroneous information was circulated stating that Sara supported school mergers. This is contrary to what she stated in the two Candidate Forums I attended and in her recent newspaper article. Although there are pros and cons to merger, with thoughtful people on both sides of the issues, Sara was clear that she was against forced merger. I left both Forums with the understanding that both candidates were strongly committed to keeping our Vernon and Guilford schools open not only because of their educational excellence, but because they serve as the heart of each community. Sara is a genuinely caring person who is listens and is easy to talk with. A self-employed business owner, she knows the hard work and dedication that is required to run and grow a small business. Sara is a coalition builder but will stand her ground when necessary as she has the courage of her convictions. Sara Coffey’s life experience will serve Vernon and Guilford well in Montpelier. As an artist, educator, and community builder I've watched and been wildly impressed by Sara Coffey. Under Sara's leadership Vermont Performance Lab (VPL) has provided and fostered original performance work that holds meaningful social questions of our time. Sara Coffey is an outstanding community leader who builds coalitions making everyone eager to participate and always feel rewarded by their participation. Sara's work has advanced the creative economy in Vermont and we all recognize how important this is for economic growth in our region. She is a skilled money manager and those skills will come in handy at the state capitol. I've been honored to serve on the VPL board for the past two years. It is by far the most effective board that I've ever sat on due to Sara's organizational, fundraising, and creative programming skills. The people of Guilford and Vernon would be best served to send Sara to Montpelier as their State Representative. Sharp differences emerge as the Windham-1 house candidates, Sara Coffey (Democrat of Guilford) and Patrick Gilligan (Republican of Vernon) answer questions in the candidate forum at the Vernon Elementary School on October 16th. I have had the pleasure of working on various projects with Sara Coffey since we collaborated on the first Vermont Performance Lab (VPL) production — Music for Trains — when I was director of the Brattleboro Museum & Art Center. I subsequently joined the VPL board of directors and I'm continuously astounded by Sara's boundless energy, innovative thinking, and business acumen. Not only does Sara have the vision to conceive inspired community partnerships, but she also possesses the skills and tenacity to implement complex projects. Sara is the quintessential social entrepreneur who leverages her professional abilities for the public good. 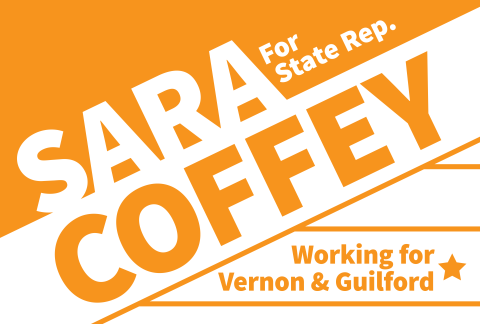 I believe that the residents of Vernon and Guilford would greatly benefit from having Sara Coffey as their Representative in the Vermont legislature. A vote for Sara is a vote for strong, healthy and vibrant communities. To help voters prepare for the state and national election to be held Tuesday, Nov. 6, the Brattleboro Reformer asked all candidates running in contested races in Windham County to submit a profile outlining their experience and their position on the issues. If you have any trouble linking to Sara's candidate profile online, please scroll to the bottom of this page to read a reprint of the full text. I am pleased to be supporting candidate Sara Coffey for our Windham-1 legislative district in the November 6 election. I have worked extensively with Sara on Guilford projects, ranging from the 250th Anniversary Celebration, to Grange events, to the Broad Brook Community Center, which she serves as President, and I am always impressed by her skills, level of commitment, and fairness in all that she takes on. As our district includes both Guilford and Vernon, I particularly note Sara's efforts to reach out to Vernon. This is an important time to bring the two towns together, and I believe Sara Coffey will be very effective at doing that. For 10 years, I've known Sara Coffey as a visionary arts colleague, an experienced community organizer, and a dear friend. Sara brings the same qualities — dedication, humor, curiosity, stamina, and humility — to all she does. Her interest is authentic; she listens to everyone and respects differences. Sara is excited about serving both Guilford and Vernon, exploring and expanding our common interests. Sara is a flexible collaborator, working with a range of neighbors to transform the Broad Brook Grange into the durable Broad Brook Community Center. When Sara takes on a project, she sees the big picture and finds the way forward. She is down-to-earth and in it for the long haul. She wants you to be there with her, working together, laughing whenever possible. That's why I'm supporting Sara Coffey for the Vermont State Legislature from Guilford and Vernon. As election day draws near, I applaud candidates running for office. The scale of Vermont allows all of us a broad spectrum of opportunities to make a difference in our community. Sara Coffey is currently running for the legislature in district Windham-1, which includes Guilford and Vernon. I have had the opportunity to work with Sara in her role as director of Vermont Performance Lab. Sara is aware of the importance of artists and their contributions to the cultural and economic sustainability of our communities. Recent figures demonstrate that creatives account for almost 9 percent of the Vermont work force. Sara realizes that housing, education, livable wages, health insurance, and childcare are challenges faced by all sectors of the work force. 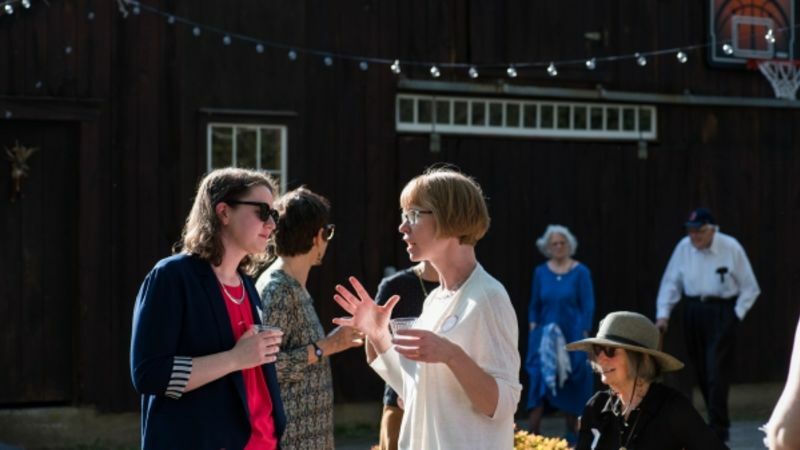 My experience working with Sara is that she has a great respect for the rural essence of Vermont and she possesses the ability to step back, look at a challenge, discuss issues with people with a variety of viewpoints, and work collaboratively on a solution. I know many of you have probably met Sara from working with her on a project: fundraisers at the Broad Brook Grange, a school meeting in her district, and meetings addressing strengthening Southern Vermont's rural economy, or when she may have knocked on your door campaigning. If you have, I imagine that you share my respect for her insights and professionalism. Sara is an experienced community builder, who will work hard for her constituents. Please, remember to vote November 6th, and if you are in Vernon or Guilford, please consider voting for Sara Coffey as your State Representative. Sara Coffey represents a truly authentic leader, who will contribute greatly to Vermont's future as a State Rep. for the Windham-1 district. If you've not yet met Sara, I urge you to meet and learn about her. Sara's a down-to earth, great listener who connects well with everyone. And she's a visionary and creative problem-solver who loves Vermont and will help maintain all that we value and hold dear about our state. Sara will work tirelessly to support healthy communities statewide, build bridges and affordability, and grow our economic engine to enable a more equitable, just and robust Vermont. Please support this stellar candidate for representative from Guilford and Vernon. Talk to your friends, volunteer, and help get out the vote, wherever you live! Guilford and Vernon voters, please join me in voting for Sara Coffey to represent us in the Vermont State Legislature. I am so excited that Sara made the decision to run and then threw all her considerable energy and talent into the race. I have known Sara since she first moved to Guilford in 2006 and I have been so impressed by the enthusiasm and hard work she has brought to all that she’s done for Guilford. She not only brought the Vermont Performance Lab to town but also became a key volunteer for the Grange - putting in hard work on the 250th Birthday Committee in 2011. Has she served at every Sugar on Snow Supper since he moved to town? I think so. Now she’s leading the newly formed Broad Brook Community Center as they work to revitalize and transform the Grange into a renewed and accessible building. I am especially grateful for Sara’s efforts to get the Vermont Council on Rural Development to choose Guilford for a Community visit. One cold January night in 2012, she brought Paul Costello to the Selectboard to pitch this idea to the assembled gathering. The roads were icy that night and so was the reception that this idea received. But Sara persevered, explained, and helped everyone understand the value of this program. In the fall of 2013 we had an incredibly successful Community Visit. The experience was transformative for Guilford – and the ideas identified have become actions. Sara has brought hard work and positive energy to all she has done for our town. I know she will bring her work ethic, strong listening skills, and positive energy to the Vermont legislature as she represents and advocates for both Guilford and Vernon in Montpelier. One of the great things about our American political process is that it brings forth exceptional individuals willing to serve their communities. Such is the case with Sara Coffey who has stepped forward to run as State Rep for Windham-1, serving the residents of Vernon and Guilford. I first met Sara years ago when we were volunteering at the Broad Brook Grange’s sugar-on-snow supper. Since then I have observed her engagement in many community programs, including her leading role in establishing the Broad Brook Community Center. I have spent a career evaluating individuals for leadership, creativity, and character. From that perspective, Sara is the best qualified candidate to represent our corner of Vermont. Sara brings a track record of accomplishments to her run for office. While successfully managing a thriving non-profit, she has been instrumental in developing an arts-based economy in our region. She fully understands the potential for collaboration between businesses and the communities they serve. Continued economic development in Windham County is critical. We need a representative who has an understanding of the challenges and the demonstrated ability to produce results. In addition to having a proven record, Sara genuinely cares about the individuals in our communities. She actively seeks to understand the needs of the diverse groups that make up our two towns. As a combat veteran, I was impressed when Sara contacted me to discuss the concerns of veterans in our area. Whether the focus is veterans, working families, farmers, or school children, Sara will do her homework to understand the issues of our communities. Finally, Sara has a vision for helping Vernon and Guilford move forward. While understanding the practicalities our rural towns face, she has a gift for seeing the possibilities. She is exceptionally good at connecting people and ideas to achieve results. With experience, character, and vision, Sara is the individual that Vernon and Guilford need representing us in Montpelier. When it is time to vote, I ask the residents of Windham-1 to join me in marking Sara Coffey’s name on their ballots. I am writing this letter in support of Sara Coffey and her campaign for state representative for Windham-1. I had the pleasure of speaking with Coffey recently about her campaign. I am enthusiastic and inspired by what she stands for. These days I feel as if citizens are holding the values of honesty, authenticity, and accountability at the forefront of their minds when choosing candidates. After watching Coffey's campaign earlier in the season, and after having the opportunity to speak with her, I am confident that she embodies the values we need in politicians. She has a strong determination to bring communities together, as well as the prowess needed to invigorate community members to create dialogue about the issues that matter most to them. She has a proven track record of being significantly involved in her community; she makes plans, puts them into motion, and makes things happen. We need this energy and motivation in politics at all levels. One thing in particular struck me during a conversation. She mentioned that through all her canvassing and engagement, she has a renewed hope about the future. I know a number of folks can feel skeptical and downtrodden about politics on both the federal and state level. However, it is critical that we as a society hold on to hope in moving forward into a positive future. To any readers in Vernon or Guilford, please support creating this positive future by casting your vote for Coffey on November 6th. Addressing the old and new problems we face requires energy, creativity, intelligence and a fresh perspective. We need new ideas; not business as usual. Younger people, women, people of color, and those with other diverse qualities have the best shot at bringing something new to the table. Kudos to the young man, Patrick Gilligan, who is running for Vernon and Guilford’s State Representative. It’s really nice to see a young voice speak out. Although I’m pleased to see Patrick getting involved, another fresh face is also on the scene, Sara Coffey, and she has won my vote. I’ve had the privilege of driving Sara around our various neighborhoods as she tirelessly campaigns door-to-door. Her energy, enthusiasm, and determination are inspiring. I’ve listened to her interact with people from all walks-of-life and differing views. She listens respectfully and intently. Her responses are thoughtful and non-defensive, showing an amazing grasp of the issues facing Vernon and Guilford. She’s obviously done her homework and is willing to honestly consider opposing views. As a mom, small business founder and owner, and a very active community member, Sara’s has demonstrated that she can effectively balance concern for meeting people’s needs while being financially responsible. That’s a very tough balancing act, one which requires skill, commitment, and hard work. As an independent voter, I try hard to assess the candidates I vote for, not based on their affiliations but rather, on their demonstrated abilities and accomplishments. Sara has everything I look for in a State Representative. Please consider voting for Sara in November. 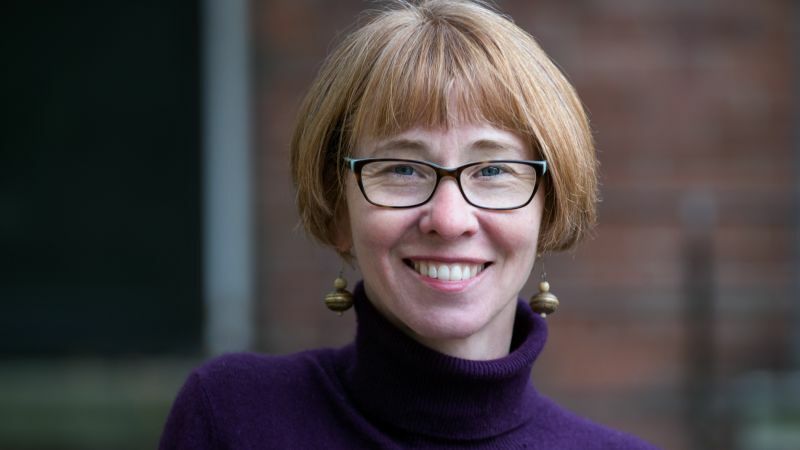 Sara speaks with Olga Peters about what is motivating her to run for the Windham-1 seat and the challenges and possibilities for strengthening our rural economy in Southern Vermont. Olga Peters talks with Sara Coffey, Democratic Candidate for State Representative, Windham 1, serving Vernon and Guilford. Then I stop and reflect: If I don’t vote, if I don’t try to be informed and engaged, this New Dark Age will be my responsibility. OK, I am chair of the Guilford Democratic Committee, but that doesn’t mean I’m not discouraged. I’ve always voted. I know too much of history and of the sacrifices of friends and family not to vote. I will. Somehow, we all have to fight against apathy and discouragement. I am focusing on the grass roots. Sara Coffey, running to be our Vernon/Guilford representative in the Vermont Legislature, is bright, is thoughtful, and speaks her mind clearly. She is hopeful, and she gives me hope. She doesn’t lie, nor does she say she has all the answers. She takes problems seriously, digs into the details. And she gets things done. Her focused efforts in developing the Vermont Performance Lab have brought new energy, revitalizing the arts community. Then she saw the need to help our aging Guilford Broad Brook Grange Hall and pitched in as one of the planning committee, negotiating regulations and raising money to re-create it as a vibrant community center. I’m convinced that up in Montpelier she will do the same, that she will take on the difficult issues like reorganizing the economy, education, and health care, and that all of us in Vernon and Guilford will be proud of her accomplishments. So, please, neighbors: come out to meet her and listen, and then get out and vote. Do our votes count? They won’t bring reform to Washington, but they will count and make life better here at the grass roots. Sara Coffey says collaboration is her superpower. It's the strength that made her confident enough to run for office, she said. 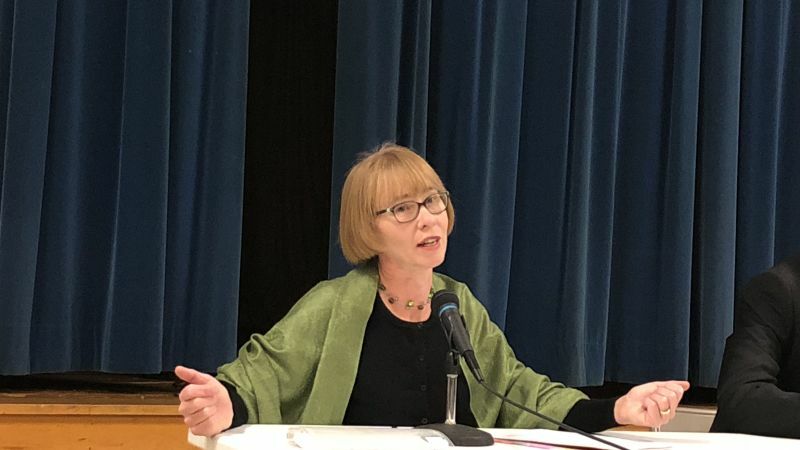 Coffey is running as a Democrat for Windham-1, which is made up of Vernon and Guilford, on a platform of education, creative workforce development strategies, stewardship of agriculture and pushing for affordable housing and healthcare. 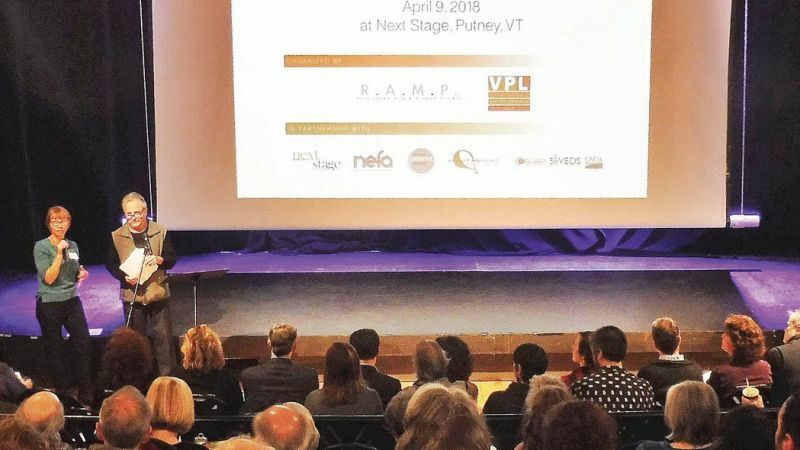 The ultimate goal of the conference was to kick-off of the first ever Southern Vermont Comprehensive Economic Development Strategy (CEDS) process to cover both Bennington and Windham counties. “People coming together as they did at this conference, with such a high-level of optimism and partnership, bodes well for a comprehensive CEDS process,” said Coffey. 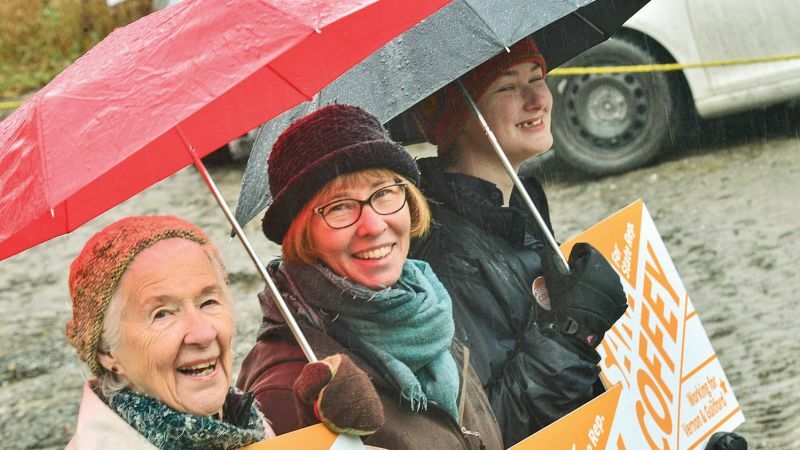 On May 9, Guilford resident Sara Coffey launched her campaign as a Democratic candidate for the Vermont House of Representatives. She’s running for the open seat in the Windham-1 district, made up of Guilford and Vernon. The incumbent, Vernon Republican Mike Hebert, announced last month that he wouldn’t seek re-election. Sara Coffey delivers a message of unity as she announces her candidacy for the Windham-1 Seat in the Vermont House of Representatives representing Vernon and Guilford. 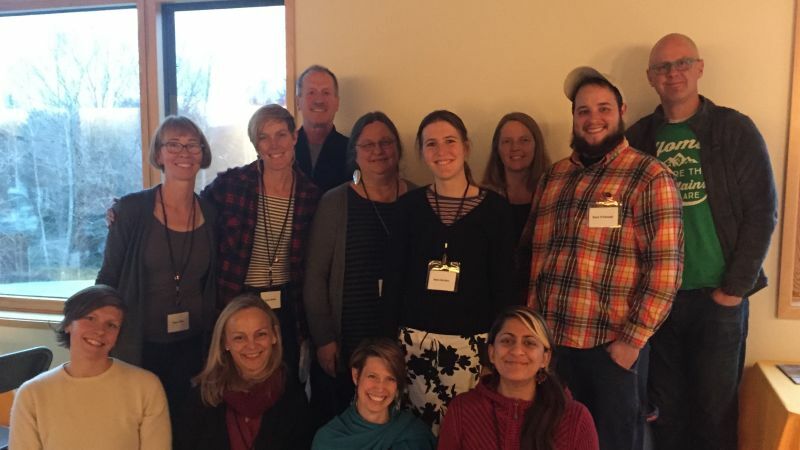 Organized by Sara Coffey of Vermont Performance Lab and Robert McBride of Rockingham Art & Museum Project, the Southern Vermont Creative Meeting on Monday drew 120 local, state and federal attendees to the Next Stage Arts Project in Putney. Vermont Performance Lab, Windham Regional Commission team up to promote preservation of watersheds. 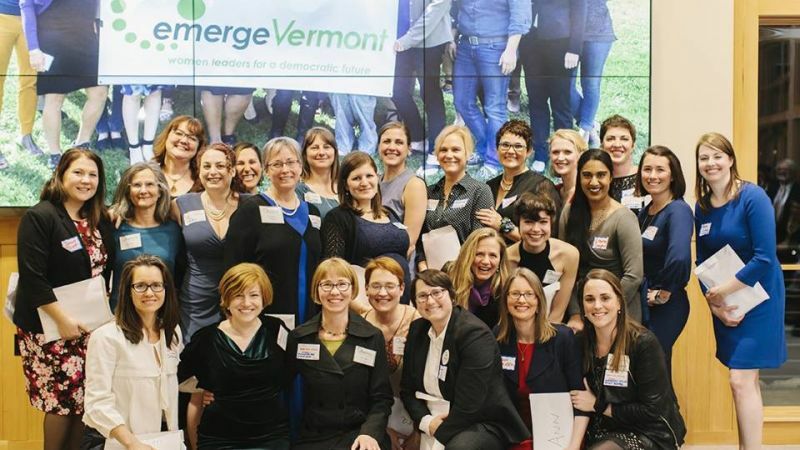 The Annual gathering featured speakers like Boston City Councilor Ayanna Pressley; Governor Madeleine Kunin; VT State Treasurer Beth Pearce; VT Senate Majority Leader Becca Balint and celebrated the 29 women (including Sara) who completed the Emerge Training Program. Sara Coffey and Don McLean, president and vice-president of the Community Center, gave the Guilford Select Board an update on the Community Center’s progress purchasing and renovating the Broad Brook Grange. Vermont Performance Lab launches The Confluence Project, a new collaborative effort that demonstrates an in-depth model for bringing arts, youth, community groups, and educational institutions to the civic dialogue table to help create a deeper engagement around environmental and social issues in our community. Through a forward thinking partnership, Guilford groups leverage $400K to transform historic grange hall into an accessible and vibrant center for the community. NEA grantees Vermont Performance Lab in Guilford and Putney's Sandglass Theater each welcomed NEA Chairman Jane Chu with a full tour of their facility followed by conversations with invited guests and members of the media, examining the importance of art in the community. Below is the full text of Sara's issue profile that was posted in The Brattleboro Reformer on Monday, October 29. 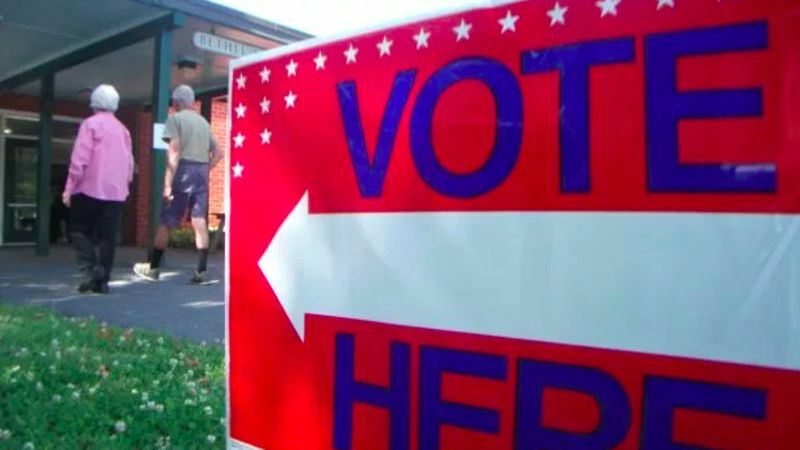 To help voters prepare for the state and national election to be held Tuesday, Nov. 6, the Brattleboro Reformer asked all candidates running in contested races in Windham County to submit a profile outlining their experience and their position on the issues. On the ballot for the Windham 1 House seat (Guilford and Vernon) are Democrat Sara Coffey, whose response is below, and Republican Patrick Gilligan, who did not submit a profile. I grew up in a large working class Irish family in Massachusetts, where I attended public school and was active in my community. I first came to Vermont 32 years ago to attend Marlboro College and the School for International Training. I then moved to New York City where I worked in the non-profit cultural sector and earned a master's degree from NYU. I returned to Vermont in 2004 with my husband, Dave, to raise our two children, Izzy and Daniel. We now live in Guilford and have started two small businesses: Guilford Sound and Vermont Performance Lab, a community-based organization that links art making with civic engagement. I have served on several school associations and boards including Marlboro College and the Governor's Institutes of Vermont. I have been an active member of the Broad Brook Grange and Guilford's 250th committee, and I now serve as president of the Broad Brook Community Center. I have twice been elected as Justice of the Peace in Guilford and serve on the Board of Civil Authority. I was recently appointed to the State of Vermont's Nuclear Decommissioning Citizen Advisory Panel. I'm running for office because I care deeply about the future of our small rural communities. I believe that by working together we can rewrite the rules so that families can care for and support themselves, and that this will ultimately boost the economy and build stronger, healthier communities. I'm concerned about the growing numbers of children living in poverty, the aging demographic in Windham County, and the trend that young people are not returning to our state. To address these issues, my top priority is strengthening our local economy through innovative approaches to workforce development, education and training, job creation and support for entrepreneurs and digital workers. To drive the economy, we need to make investments in technological advancement, and I also plan to continue the work I have been doing with SeVEDS to ensure that the Comprehensive Economic Development Strategy for Southern Vermont includes a focus on the creative economy. Right now Vermont's creative sector contributes over 8 percent to our state's economy and including it in our region's economic development strategy is key to strengthening our rural economy. To help low-income Vermonters, I will work to ensure that our minimum wage gives everyone the opportunity to earn a livable income. I will also work with and advocate for small family farms so that we can ensure that this vital sector can compete and thrive economically. As a legislator, I would focus my efforts on policies and funding that strengthen our local economy and make Vermont more affordable for working families, local businesses and seniors. Key issues like education, housing, healthcare, childcare and access to technology are integral to our ability to ensure a thriving economy and healthy, vibrant communities. I think to be more transparent and fair, we need to reform how we generate revenue for public education so that it is based on one's ability to pay rather than one's property values. We also need to address how our education system interacts with the Department of Human Services to deliver social services in schools, since this is currently one of the driving costs in education. I want to increase access to high quality affordable childcare and pre-kindergarten for every child, and I will also work to improve access to affordable housing and health insurance. Another key issue I will focus on is improving cell phone technology and high-speed internet service to make it easier for small businesses to succeed and to help attract digital workers and entrepreneurs to our communities. Other issues that our Legislature can address to support local businesses and the workforce are affordable housing, healthcare, childcare, paid family leave and transportation. When these types of services are accessible and affordable to workers, businesses can better focus on increasing growth and wages. 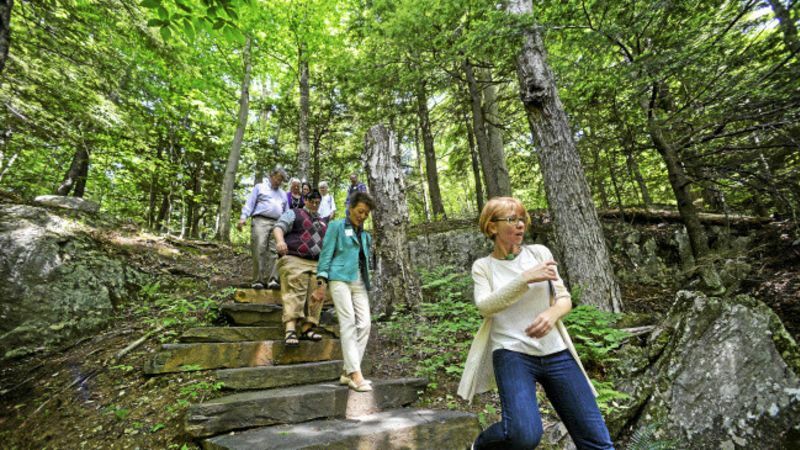 Legislators can also work together to support investments in regional marketing to promote local businesses and showcase southern Vermont in a way that helps attract workers, customers and tourism dollars. If elected to the Legislature, my priority in addressing Act 46 will be to work with Vernon and Guilford to do whatever I can to keep our schools open and to maintain strong local school board representation for small schools. The towns and school boards in Guilford and Vernon have taken two different approaches to meeting the law under Act 46, and our school boards presented different proposals to Secretary of Education. On Oct. 17, the Vermont Board of Education took a preliminary vote and recommended that Guilford be part of a merged district and Vernon remain independent. In this newly evolving scenario, addressing the distinct needs of the schools in our two towns will require creative thinking, engagement and advocacy from the community. I am committed to finding innovative, cost-effective models that will allow our schools to be flexible and responsive so that they can be the centers we need to build strong and vibrant communities.